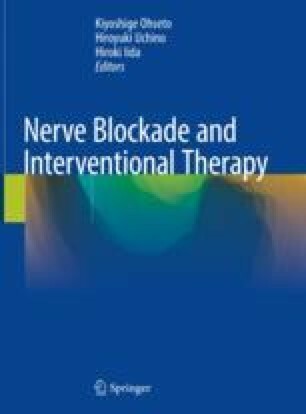 Epidural lavage and nerve block are minimally invasive techniques for the treatment of lumbar radiculopathy. This technique involves accessing the epidural space via the sacral hiatus and inserting a catheter. The catheter is advanced to the site adjacent to the nerve roots considered responsible for the patient’s symptoms, and then a radiopaque contrast agent is injected through the catheter, and an X-ray image is taken (epidurography); normal saline up to 40 mL, local anesthetics, and steroids are injected into the space. The proposed mechanisms of added volume include not only washout of inflammatory cytokines but also lavage of the epidural space, suppression of ectopic discharge from injured nerves, and enhanced blood flow to ischemic nerve roots. This technique exists between epidural lysis of adhesions (epidural neuroplasty and epidural adhesiolysis) and conventional epidural steroid injections.